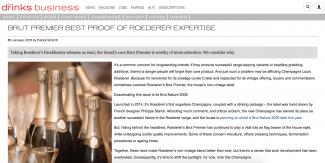 Written by TheDrinksBusiness.com in July 2015, we are glad to see highlighted again the quality of Louis Roederer Brut Premier, the house’s non-vintage label. It is easy to forget the amazing effort and time spent creating this champagne each year from over 600 different reserves wines. A task that has fallen to Louis Roederer cellar master Jean-Baptiste Lécaillon for the past 35 years. The house is more widely recognised by its superb prestige cuvée Cristal, a champagne which is produced in a clear glass bottle with no punt underneath. 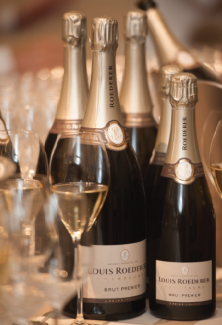 Louis Roederer have recently released their 2007 vintage of Cristal, that already has had proclaimed reviews of 97/100 from Antonio Galloni. Another first for the house was the release of Brut Nature 2006, a sugarless champagne which was created after the 2006 harvest showed great freshness. You can buy Louis Roederer Brut Premier NV here.